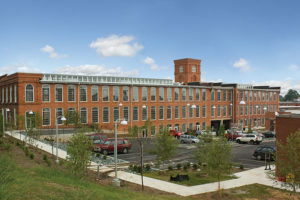 The restored Golden Belt was one of Durham, North Carolina’s last historic textile mills to be redeveloped. This seven-acre campus features an innovative mix of artist studios, live/work loft apartments, offices, restaurants, retail, live music and LEED-certified green features. 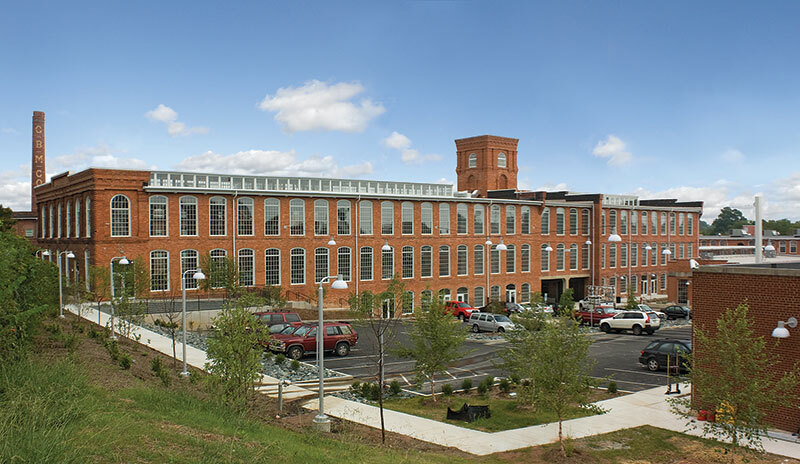 Mid-Atlantic provided Brownfields assessment and remediation services to support the redevelopment of this historic landmark destination in Downtown Durham. 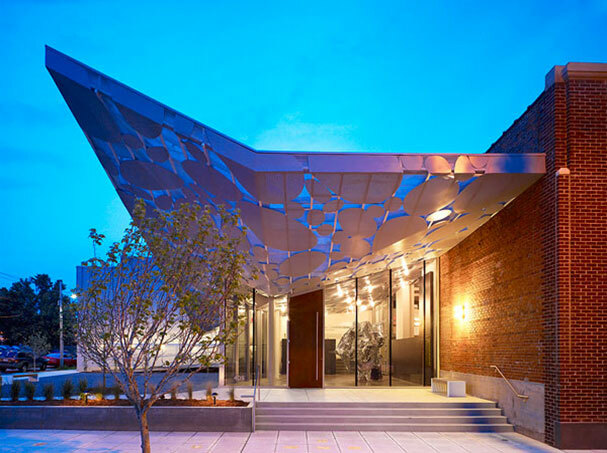 The successful redevelopment of this historic site has been a catalyst for the redevelopment of southeast Durham. Mishandled and illegally disposed 1,1,1-trichloroethane caused contamination at this warehouse facility that threatened domestic water-supply wells and a stream. The underlying geology at this site was complex and Mid-Atlantic utilized a variety of sampling, assessment and geophysical techniques to develop a site conceptual model using various software programs. In situ chemical oxidation by sodium persulfate and steam injection, augmented with an existing air sparging and soil vapor extraction, was conducted over a 12-week period using a 66-well injection field. Mid-Atlantic injected over 50,000 lbs of sodium persulfate and one billion BTUs of energy (steam) into the source area. Our assessment and corrective action resulted in post-treatment concentrations over three times lower than the target cleanup levels, which has shortened the time for the on-going processes of natural attenuation for remaining contaminants. This site is currently under the jurisdiction of the Inactive Hazardous Sites Branch and was entered the Registered Environmental Consultant Program in December 2009. A vapor intrusion (VI) assessment conducted at the site showed an incomplete VI exposure pathway. 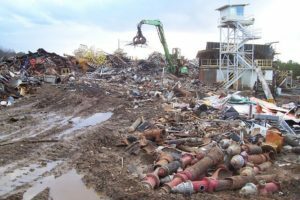 This metal recycling facility has been in operation for over 40 years. Historical recycling operations released PCBs, chlorinated solvents, petroleum, metals, and other contaminants into the environment. Over time areas of the site were filled in with gravel, debris, and other types of wastes and extensive historical research was required to identify these areas. Various assessment and geophysical techniques have been utilized to characterize these contaminants and areas of buried waste under the North Carolina Registered Environmental Consultant Program. This included excavation, hollow stem auger and air rotary drilling, direct push, down-hole logging, ground penetrating radar and electromagnetic survey. Assessment activities indicated that the downgradient portion of the plume intersected a downgradient solvent plume. Region IV of the EPA has given interim approval for a risk-based corrective action approach to the on-site PCB contamination. Mid-Atlantic was contacted to provide services for a former underground storage tank (UST) site that was under redevelopment as a restaurant. The owner, just prior to opening the multi-million dollar facility, determined that the previous UST closure was inadequately documented, putting the project financing at risk. In addition, the client only had only one week to complete investigative activities and obtain a formal regulatory closure of the project before losing the project to a major investor. 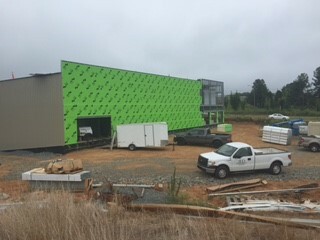 With a one week deadline from our initial site visit, we worked collaboratively with contractors, the owner and the North Carolina Department of Environmental Quality (NCDEQ) for a rapid completion of the project, including NCDEQ reporting requirements, to achieve a Notice of No Further Action (NFA), allowing the redevelopment to proceed. 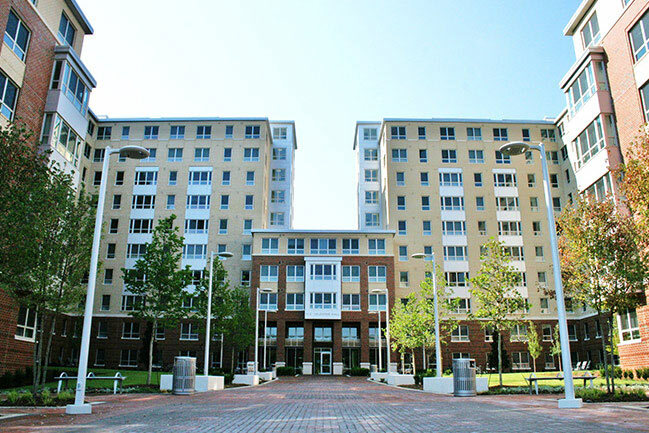 This Brownfields site included the construction of an 11-story student housing center built on a former heavy equipment sales and repair facility impacted with chlorinated solvents and petroleum. 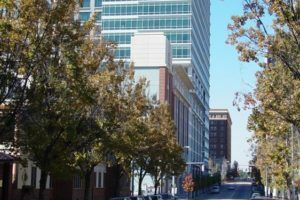 Mid-Atlantic developed and implemented an Environmental Management Plan (EMP) designed to support site redevelopment that included procedures to manage contaminated water, mud, sludge, etc. generated from utility installation, site grading, and the installation of over 12 miles of micro piles. 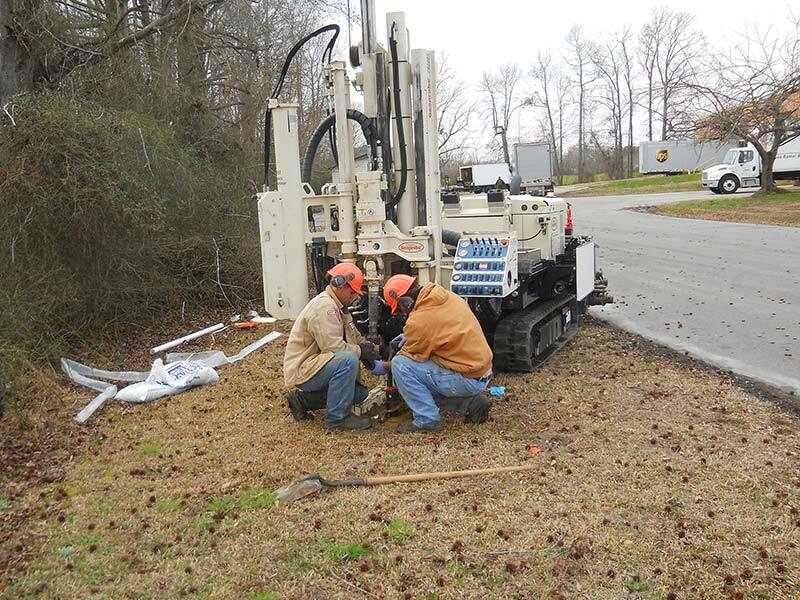 Mid-Atlantic designed and operated a mobile treatment system to separate contaminated water from drilling mud for disposal into the sanitary sewer system under a temporary discharge permit. Mid-Atlantic’s team managed 259,172 gallons of water, 105,536 gallons of sludge, 1,552 gallons of drilling mud, and 3,281 tons of contaminated soil. Work was conducted over an intensive nearly 24-hour per day schedule for three months. A major component of this project was the design and installation oversight of a GeoSeal active vent vapor intrusion (VI) mitigation system and a pre-occupancy VI risk assessment consisting of sub-slab and indoor air sampling. 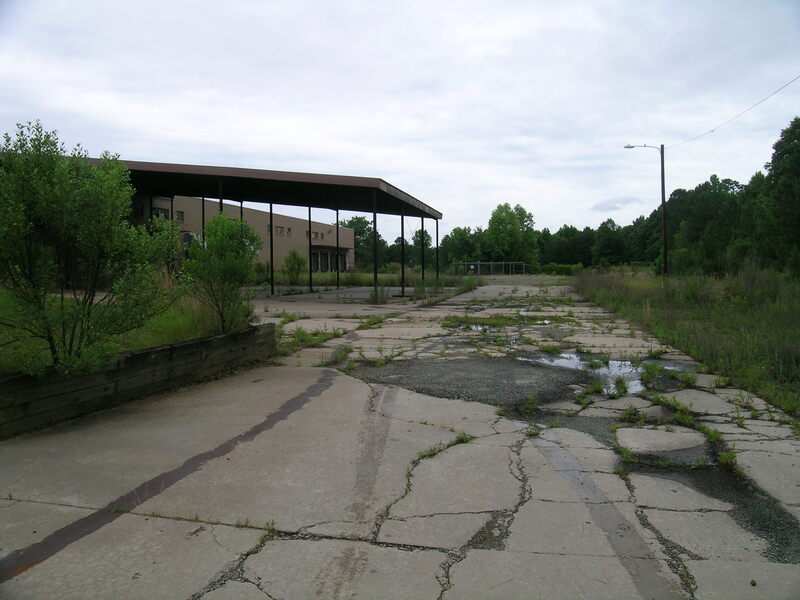 At the time, this was the most involved EMP and risk assessment (including calculation of site specific screening values for indoor air) conducted under the North Carolina Brownfields Program. 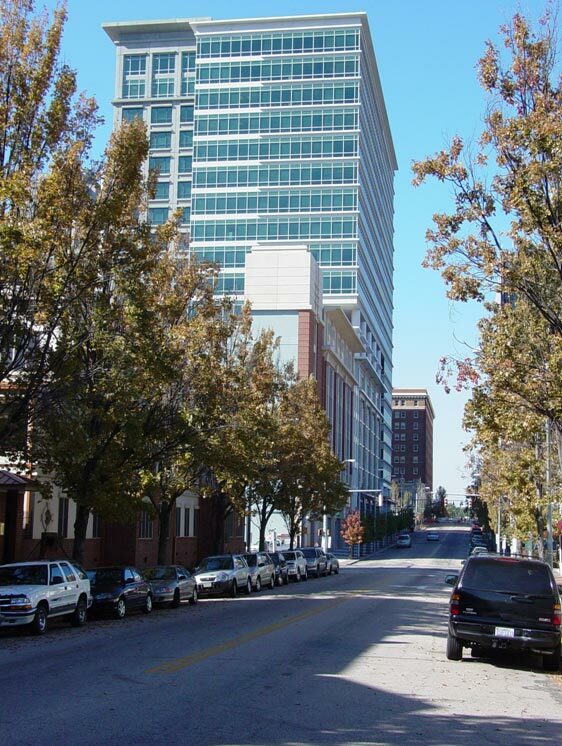 Mid-Atlantic provided a wide range of environmental and management services during the redevelopment of an entire downtown site with a parking deck, high-rise office building, residential condominiums and retail shops. Several months before construction was to begin at the site, it was discovered that a release of petroleum from underground storage tanks would need to be sufficiently addressed prior to the site being used for residential purposes. With the cooperation of regulatory agencies, Mid-Atlantic was able to perform an expedited assessment of the release, develop a corrective action plan, and install a portable air sparge and soil vapor extraction system at the site prior to construction activities. This system was put in place to remediate contaminated soil and groundwater. During construction, Mid-Atlantic monitored the clean–up, interfaced with the construction team, and actually moved the remedial system twice to ensure that remediation activities did not impede construction. Mid-Atlantic also addressed several other areas of environmental concern that were encountered during construction. Prior to the end of construction, the soil and groundwater at the site had been remediated to the applicable standards and the other environmental concerns addressed to the regulatory agencies satisfaction. The former downtown convention center was demolished to make room, in part, for the new convention center which covers an area of approximately three city blocks. 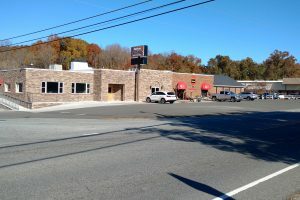 The building design included below-grade construction in areas where subsurface soil and groundwater contamination was present from various sources, including an old manufactured gas plant, leaking underground storage tanks (USTs), former dry-cleaning facilities, automotive repair and industrial facilities, as well as other historical land uses. 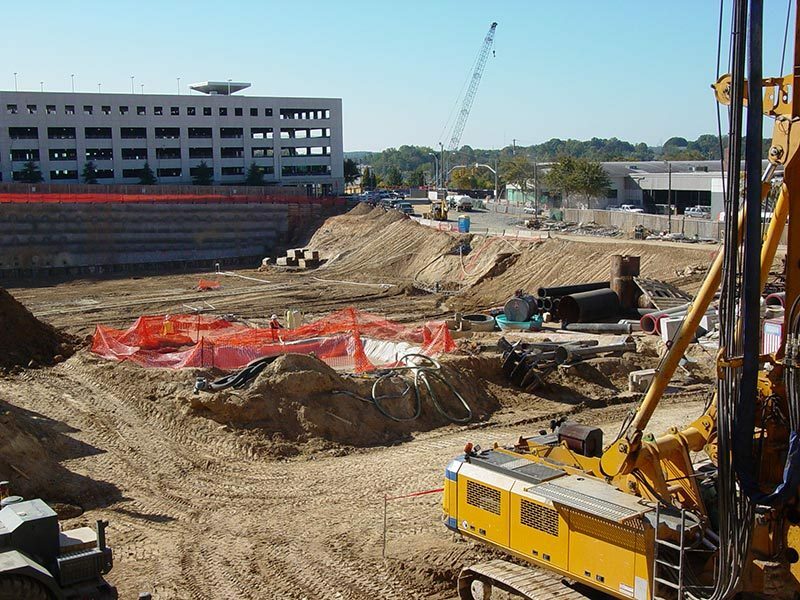 Mid-Atlantic provided turn-key environmental support services for the construction including the removal of USTs and contaminated media (soil and groundwater) encountered during site construction activities. 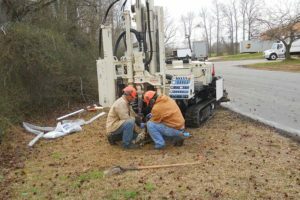 Mid-Atlantic constructed a portable system to treat contaminated water from the drilling of the building’s foundation system in accordance with City of Raleigh and NPDES permit requirements. The system includes a sediment removal, carbon canister and air stripper system to treat contaminated groundwater. 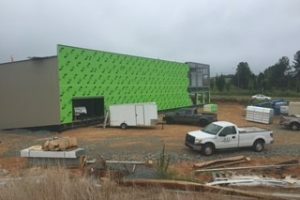 Our remedial construction services required extensive coordination with the general contractor, site grading and construction contractors, as well as the City of Raleigh and their consultants and engineers. 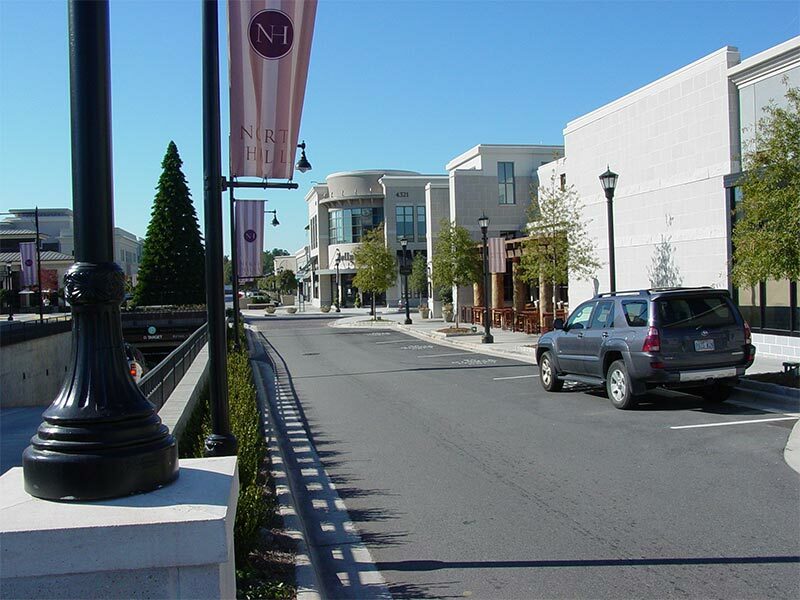 Mid-Atlantic managed environmental activities for the redevelopment of the North Hills Mall. 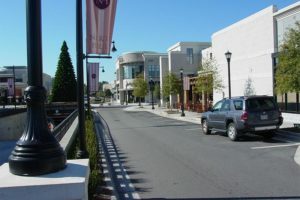 Activities included the cleanup of gasoline contamination from the North Hills Exxon Station leaking underground storage tank (LUST) site, the implementation of a Brownfields Agreement for non-UST contamination, and other environmental issues associated with the demolition and renovation of the mall property. For the North Hills Exxon Station, Mid-Atlantic successfully implemented an aggressive cleanup program approach to finish Comprehensive Site Assessment, Corrective Action Plan, and remediation system design and installation within a 1.5 year period of assuming project responsibilities. A 129 well remediation system was installed and removed approximately 2,000 gallons of gasoline from the subsurface over a six-month period. An environmental investigation was also conducted for an area of non-petroleum soil and groundwater contamination to support the development of a Brownfields Agreement with DENR. The Williamston Waterfront Redevelopment District is a collection of former industrial properties, vacant lands and wetlands totaling 47 acres along the scenic Roanoke River. Adjacent to North Carolina Wildlife Resources Game Lands, the Roanoke River National Wildlife Refuge, a public boat access and a major state highway, the site is uniquely positioned to connect visitors and the local community to significant natural assets and recreational opportunities. Situated on one of the few navigable rivers in the state, the area is characterized by a rich maritime history, as well as a history of industrial use which led to contamination across several of the properties. In 2011, the Town of Williamston was awarded $400,000 in grants from EPA’s Brownfields Program to assess the contaminated sites in the River Road area, develop cleanup plans, and work with the community to explore how the properties can return to productive use and revitalize the area. 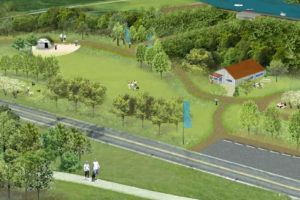 On June 18, 2013, community members gathered at Moratoc Park to work toward a shared vision for redevelopment of the properties in the Williamston Waterfront Redevelopment District. In recognition of the area’s significant natural, recreational and cultural assets, participants endorsed an eco-tourism theme to guide investments in the area that increase access to the Roanoke River while promoting sustainability, regional heritage and ecological awareness. Community members envisioned a range of features and activities to support the theme and local economy, from birding and boat tours to seasonal restaurants and supply stores. A copy of the Reuse Concept Plan can be found by clicking the link below. In 2015, the Town was awarded a grant in excess of $350,000 to cleanup two sites located on River Road between Moratoc Park and the public boat access. Cleanup was completed in late 2016 and included the excavation and disposal of over 1,100 tons of contaminated soil. 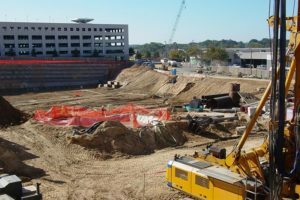 Over 3,300 cubic yards of clean fill material was imported to fill excavated areas, a large excavation left from previous, unfinished efforts, and complete final grading. In April 2017 a community outreach event was held in conjunction with the Roanoke River Partners Spring Paddle Days event to celebrate this cleanup and the addition of a community asset. 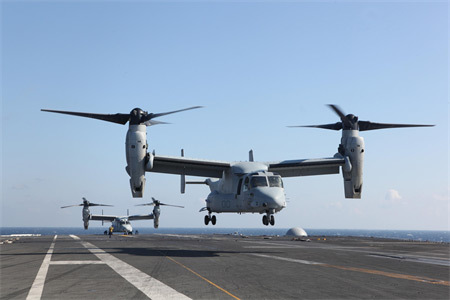 The subject site includes the “Rapid Refueler” facilities located aboard a Marine Corps Air Station (MCAS). The rapid refueler facilities include aircraft refueling hydrants and related infrastructure at fuel pits in the center portion of the airfield. Refueling of aircraft has occurred in this area of the MCAS for decades, and releases from the underground piping have occurred. For approximately 20-years, traditional methods of assessment and remediation were unsuccessful in adequately assessing and remediating the free product. Mid-Atlantic was retained to review 20 years of data and recommend an assessment methodology that could accurately assess the extent and amount of free product in the subsurface. Mid-Atlantic used Laser Induced Fluorescence (LIF) technology for 3-D, high resolution digital profiling of residual petroleum and free product at the site. LIF measurements were taken from over 90-probe locations during a nine day period. The results of these activities were used to determine locations for permanent wells and to design free product recovery efforts. 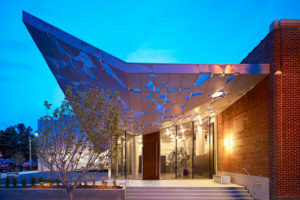 Mid-Atlantic was retained by the Contemporary Arts Museum to assist with the redevelopment of the former Dillon Supply company site in downtown Raleigh. 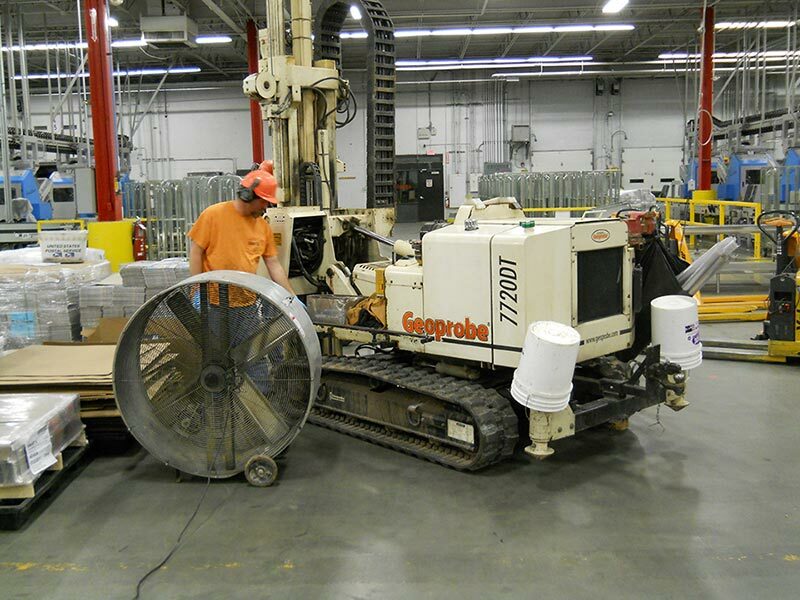 While working under a North Carolina Brownfields Agreement, Mid-Atlantic engineered the cleanup of contamination associated with historical operations during construction, all the while keeping workers safe. Contaminant sources included underground storage tanks and the misuse of chlorinated solvents. Our scope of work also included the design and installation of a GEO-SEAL® vapor barrier to mitigate the possibility of vapor intrusion. This industrial facility historically manufactured farm equipment and hand tools. Prior to its closing, it was the largest producer of horseshoes east of the Mississippi River. 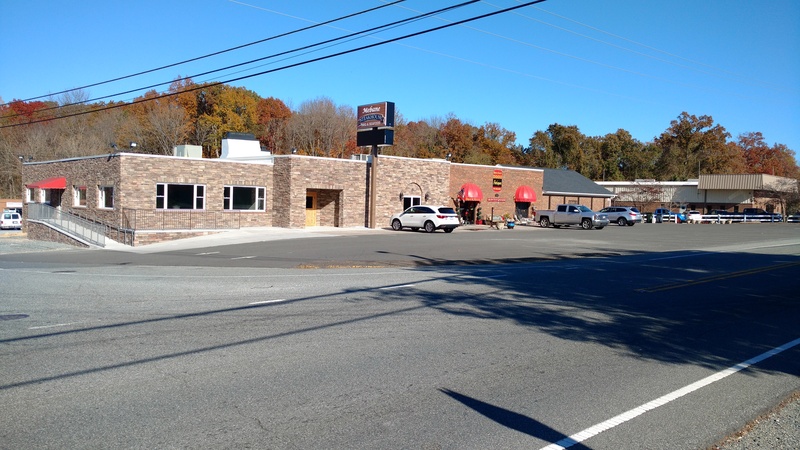 The property owner retained Mid-Atlantic to assist them with a planned property divestiture to a local municipality, but needed to navigate the site through the North Carolina’s Brownfields Program. Primary concerns were both on- and off-site chlorinated solvent plumes that had impacted the site. Off-site vapor intrusion was a major concern. Mid-Atlantic provided a comprehensive, multi-media evaluation of the site. 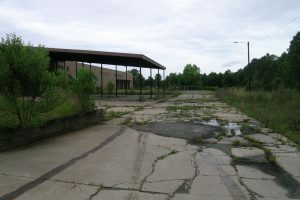 We also worked with the owner and their legal counsel in negotiations with the North Carolina Brownfields Program and Inactive Hazardous Sites Branch to address the sources of contaminants, determine site redevelopment risk and position the property for a Brownfields Agreement and future redevelopment. 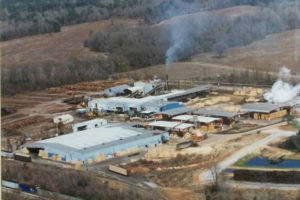 The plant was built in 1969 as a manufacturer of nickel-plated disposable medical instruments and utilized chlorinated solvents (including trichloroethane (TCA) stored in an aboveground storage tank), petroleum, and plating solutions in their manufacturing process. Mid-Atlantic prepared and implemented a Phase I Remedial Investigation (RI) work plan under the Inactive Hazardous Sites Branch Registered Environmental Consultant program. Assessment activities characterized potential contaminant sources including the former TCA AST, a vapor degreaser unit, a wastewater lagoon system, sludge landfill, an acid drum storage area, and gasoline UST. Results indicated that elevated levels of nickel were present in soil and that groundwater was impacted by several metals, TCA and degradation products 1,1-dichloroethene and trichloroethene. Surface water assessment confirmed localized impact to an adjacent stream. A vapor intrusion assessment was conducted for the on-site building and results indicated that there was no complete exposure pathway. 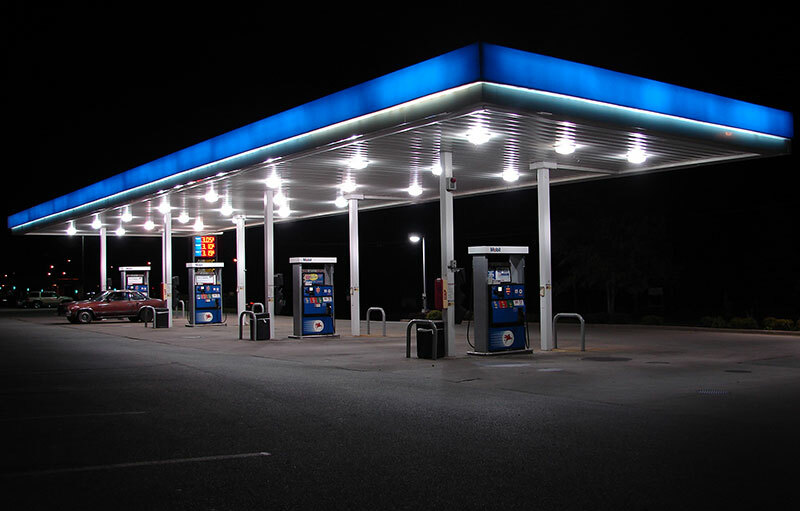 Mid-Atlantic has performed environmental services at approximately 45 project sites throughout North Carolina, South Carolina and Virginia on behalf of a major petroleum retailer serving the Midwest and Eastern U.S. 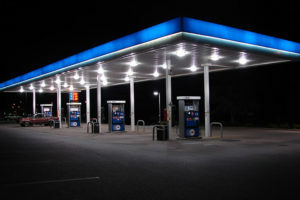 These sites include retail fuel dispensing facilities, truck travel plazas, convenience stores, as well as petroleum tanker spills and emergency response for on-site, customer-related spills. The environmental services include soil and groundwater assessment and remediation activities associated with releases of petroleum products from leaking UST systems and surface spills. 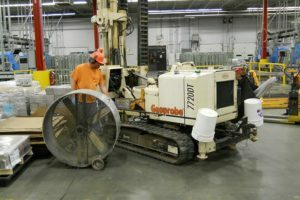 A number of technologies have been incorporated to assess each site’s potential impact, including direct push technology, hand auger boring, and conventional soil boring, as well as monitoring well installation using hollow stem auger, air rotary, mud rotary, coring, and sonic drilling techniques. Mid-Atlantic has completed hydrogeologic evaluations and prepared numerous CSA reports at multiple sites. We have also utilized geophysical techniques such as DC Resistivity and Induced Polarization to provide additional data for development of site conceptual models. Our engineers have developed numerous Corrective Action Plans (CAPs) and we have installed and operated dedicated remedial systems at 13 of the petroleum retailer’s sites and performed in-situ remediation at several others. Mid-Atlantic has obtained site closure for numerous incidents through remedial efforts and/or managing regulatory hurdles through the Risk-Based Corrective Action framework. Mid-Atlantic pursues and obtains Trust Fund reimbursement for eligible tasks in an effort to reduce expenditures on our client’s behalf. 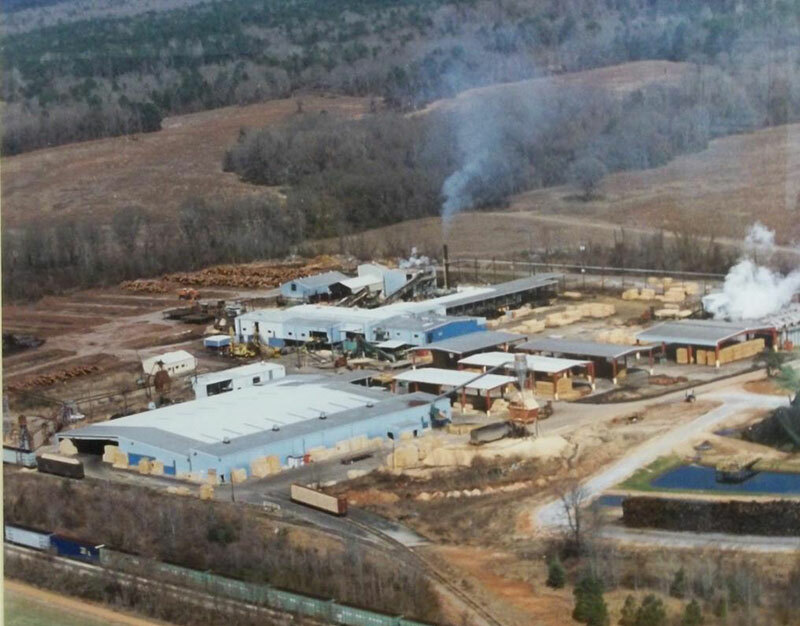 Mid-Atlantic provided comprehensive due diligence and consulting services for the purchase of a 60-acre sawmill in northern Louisiana. The site had been used as a sawmill since 1971 and consisted of a sawmill building, planer mill, boiler building, drying kilns, maintenance shop, bulk storage of fuel/lubricating oils, three wet-decking ponds, ash piles and several other areas of industrial activity. Mid-Atlantic conducted Phase I ESA and limited Phase II ESA activities for the client. Our services also included consultation with the Louisiana Brownfields and Voluntary Remediation Programs and assistance in securing environmental insurance for the project. This Brownfields site involved the construction of an indoor self-storage facility on a former construction and demolition (C&D) landfill. A geotechnical investigation of the property determined that the boundaries of the former C&D landfill were not consistent with the historical landfill closure maps for the facility. Mid-Atlantic completed a site assessment to identify areas of fill material and buried debris. The investigation determined that the identified areas of buried debris were predominantly located outside of the proposed building footprint. 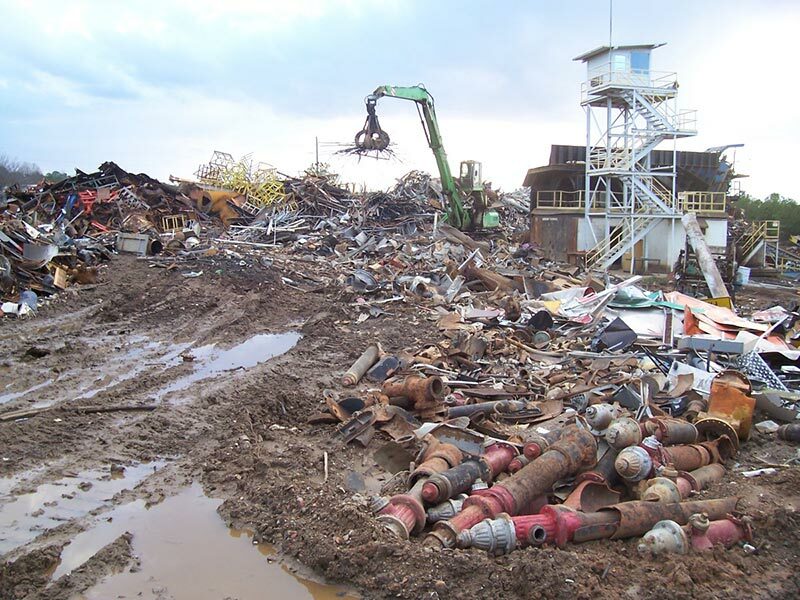 Following assessment activities Mid-Atlantic developed and implemented an Environmental Management Plan (EMP) to manage debris uncovered during site grading and construction. Mid-Atlantic’s streamlined approach allowed the client to complete the redevelopment of the property with minimal need to disturb areas identified as containing buried debris. © Copyright 1999 - 2019 Mid-Atlantic Associates, Inc.